An Adultitis Fighter is someone who rallies against rules that don’t exist and engages in ruthless, senseless acts of silliness that undermine Adultitis and its unadventurous version of adulthood. Once a month, we’re going to shine a light upon the most remarkable among us, holding them up as a dazzling example of what we should strive for in this epic battle against a formidable enemy. We are excited to announce Tara Ingalls as our very first recipient of what is destined to become an incredibly prestigious award! 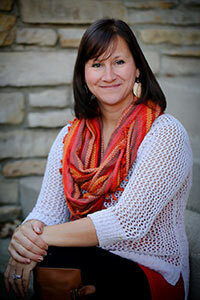 Tara has attended an Escape Adulthood Summit, and participated in an Escape Lab and many of our live Facebook parties. Time and time again, she impresses us with the the way she fosters an atmosphere of fun in her workplace. As the owner of Tingalls Graphic Design, she is the rare leader who understands that employees can take their jobs seriously without having to take themselves seriously. She told us that her staff regularly plays Spoons together as a team builder depending on how busy they are. And get this: the busier they are, the MORE they play it! How’s that working for them, you ask? 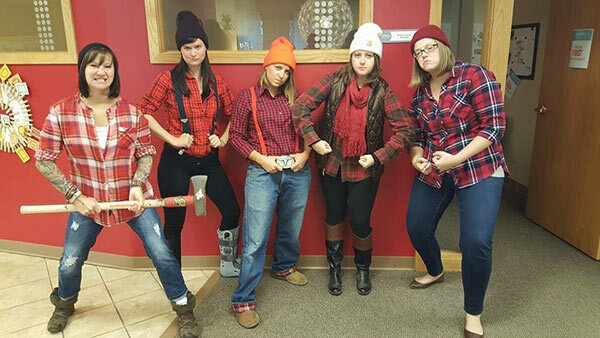 They were awarded first place in the InBusiness Magazine 2015 Executive Choice Awards, voted on by 1,000 business executives in the Madison, Wisconsin area. * Placing major importance on laughing. I don’t think there is a day that goes buy that I don’t have some sort of giggle at work or home. Having three small kids does keep me on my toes, but they’re also my main reminder-ers not to take life so seriously. * Dressing up. At my office we have Halloween spirit week and celebrate five different dress up themes all week long, not just on Halloween. * Running in goofy races. 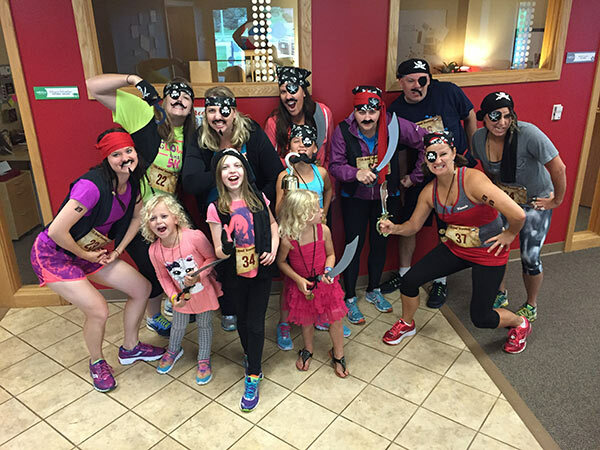 I became a runner just over a year ago and love to participate in runs that have some sort of theme so I can dress up and be goofy. * Spoons. 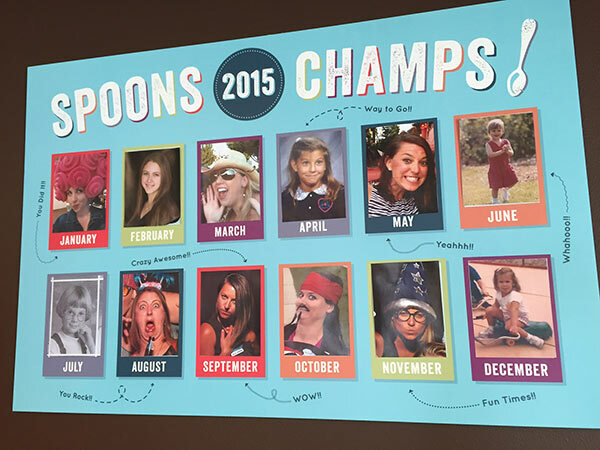 At my office, we instituted a Monthly Spoons Championship and we play spoons 1-2x per week as a team. Not only does this encourage breaks, which relieves stress and enhances creativity, but it’s also a great team builder and something we all look forward to. * Crafts. I love, love, love crafts of all kinds. I’m so lucky my three girls share my love of coloring, painting, crafting, sewing and more. You! 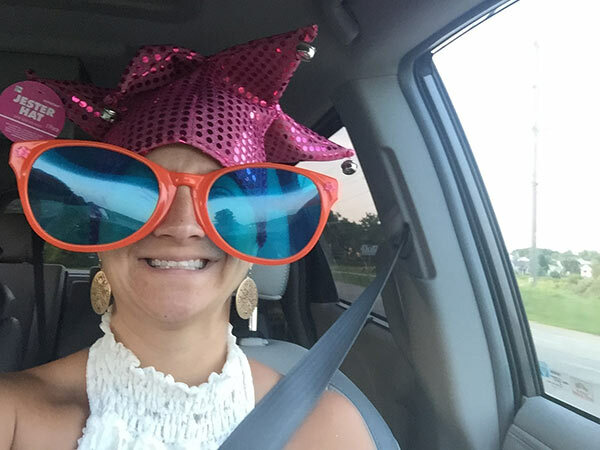 After attending the Escape Adulthood Summit in the summer of 2014, I realized quickly that I wasn’t living the life I wanted. I was stressed all the time, fighting with my family, my company was growing but not in the way I had envisioned. The seminar taught me the immense importance of being myself and I sought to figure out who that was. I’m a bit silly, immature and I can laugh at myself but I’m also driven, hard working and compassionate. I realized that my marriage and family comes first, not my business, and began spending more alone time with each of my family members. I used to look at people and say “I wish I could wear pigtails (like Kim)” or “I wish I could run like that” and now I try to say, “I can’t wait to try to …” instead. It’s quite a different attitude to face this world with. Color. I love the new trend of adult coloring books, but I still love the ‘ol activity books I had as a kid with crosswords, word searches, etc. This is a tough one because I think we all know people in this category who need to be saved. I recently saw a quote that really resonated with me “Sometimes you have to walk away. Not because you don’t care, but because they don’t.” Happiness isn’t something that you find or achieve over time “if only” or “when such-n-such.” It’s a state of mind you have to talk yourself into daily. No one should be responsible to be someone else’s happiness. That’s just not fair or realistic. I know the feeling. I was there just yesterday! I recently made a short list of five things in my life that are really, really important to me. Things that bring me happiness. Things I wouldn’t trade for anything in the world. I refer to this daily and remind myself that there is a lot of good in my life. There are lights that shine on me and goodness that fills me up. So many things in life that we worry, stress over, or get upset about are things that are out of our control. 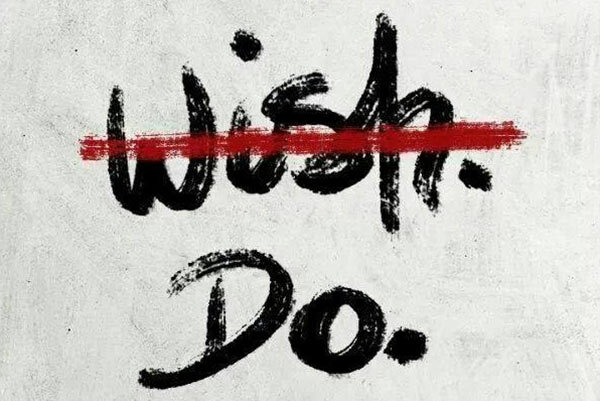 The things on my list are things I CAN control. They are relationships I work on, goals I can work to achieve, things that really matter in my life. I try really hard to focus on things I can control and let go or walk away from those I can’t. One other piece I took away from the Summit that summer was that you need to find and acknowledge one person on this earth you can truly be yourself with. My husband Roger is that person for me. I do some pretty crazy stuff and he never rolls his eyes, judges me or calls me crazy. 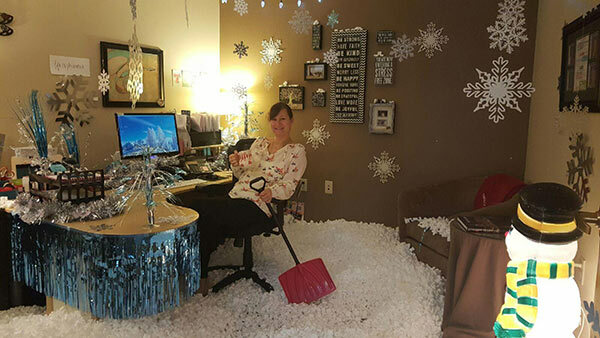 Like when I decided to dump 40 cu ft of white packing peanuts in my office at work because I really wanted a white Christmas. Or, when I said I’m going to run a 1/2 marathon after only runnings for 6 months. Or, when I died my hair platinum blonde “just because.” I can be my biggest dorky self and I know he’ll still love me. Congrats to Tara Ingalls, January 2016 Adultitis Fighter of the Month. Thank you for making the world more awesome! Congratulations to Tara! Excellent choice for this award!